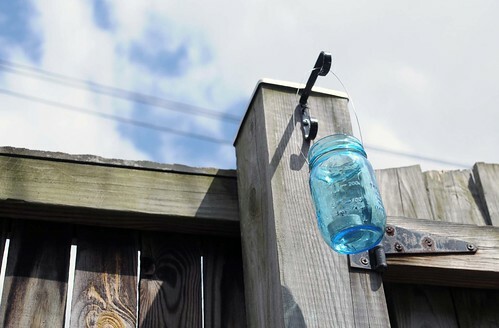 Nothing says rustic patio lighting like a good old-fashioned mason jar lantern. A quick and inexpensive project, these will bring instant charm to your outdoor living area. 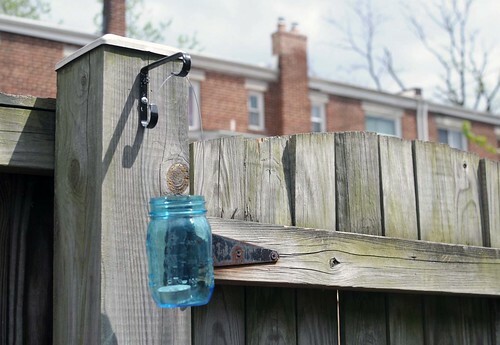 If you live in or near Del Ray, you can buy all the supplies at the Del Ray Variety Store (or other variety or hardware type store in your area): mason jars, picture hanging/craft wire and wall-mounted plant hooks. 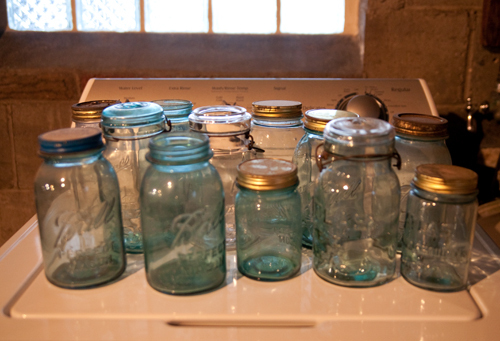 For my project, I selected the special anniversary edition blue Ball mason jars. You can sometimes find the real vintage ones at yard sales and antique stores. 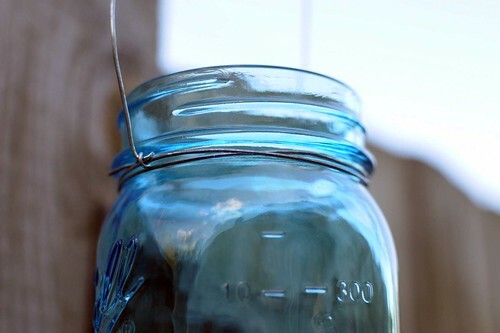 Any old jar will do. I wrapped the picture hanging wire twice around the bottom lip of the jar, leaving excess for the handle, then looped it back to the other side and secured with a twist. I installed plant hanging hooks on the two posts flanking our back gate, then waited for dusk to arrive. The blue tint really comes out at night, providing a cool twinkling glow. 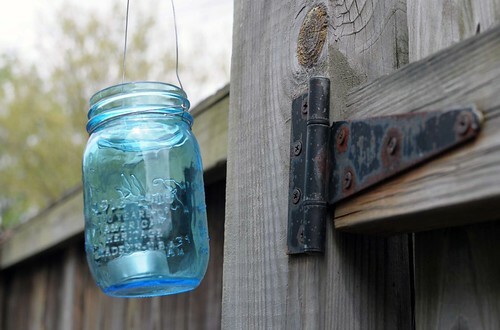 Next I plan to hang a few smaller jars under our outdoor umbrella for more vintage-inspired ambiance. 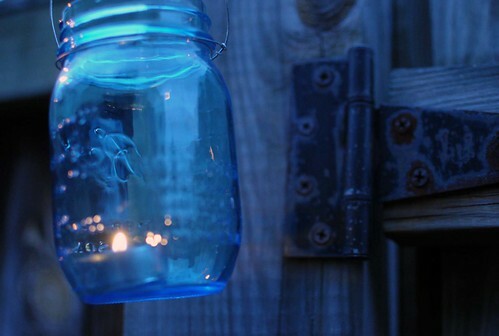 Have you made any mason jar lanterns or other lighting projects with jars?